The first documentary reference to Eastcote was in the mid-thirteenth century, but it existed before that as a settlement near the River Pinn in a cleared area of woodland. It was part of the Manor of Ruislip, which was referred to in the Domesday Book of 1086. By the middle of the thirteenth century Ruislip was divided into three tithings: Westcote (the western settlement, now Ruislip), Ascot or Eastcott (the eastern settlement, now Eastcote) and Norwood (the settlement to the north of the woods, now Northwood).The divisions of Westcote and Ascott/Eastcott survived until 1833 before being discontinued as “useless and unnecessary”. 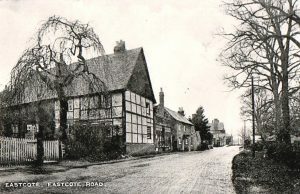 From medieval times until the twentieth century, the majority of the population in Eastcote was engaged in farming and related trades. Agricultural methods changed little from medieval times until the 1804 Enclosure Act. This resulted in large hedged fields being created predominately to the south where Eastcote bordered on to the parishes of Northolt and Greenford. Previously this area had been farmed as open arable fields divided into strips for cultivation by individual villagers. After enclosure, tracks leading to these strips from the village became a road, now the modern Field End Road. A feature of Eastcote village was the many “ends”, mostly with small greens, which denoted the boundaries of scattered hamlets. Field End, at the junction of Field End Road with Bridle Road, stood at the end of the open fields, while Hale End, at the bend in the road near Highgrove, marked the western edge of the village. The eastern limit was Pope’s End at the junction of the High Road, Cheney Street and Cuckoo Hill. 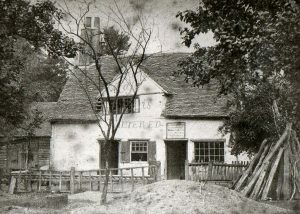 By Elizabethan times the centre of Eastcote had become consolidated along the High Road and Field End, with a few scattered buildings along the ancient ways of Fore Street, Gowle (Joel) Street, Popes End Lane, Chaynye (Cheney) Street and Wylcher (Wiltshire) Street which led to the common pastures in the north. A document called the 1565 Terrier, drawn up by King’s College, Cambridge, the Lords of the Manor of Ruislip, to record their property, gives a good indication of the pattern of settlement in Eastcote. For example, listed in the High Road are Ramin, the Old Shooting Box, Flag Cottage, the Old Barn House and Eastcote Cottage, while in Fore Street there is Four Elms Farm. In Wiltshire Lane there is Ivy Farm and in Cheney Street is Horn End. It is very fortunate that a total of 19 buildings mentioned in this 1565 Terrier are still in existence in Eastcote, although some have been substantially altered. Throughout the centuries agriculture was the mainstay of Eastcote. But it was the nineteenth century which saw the heyday of the gentry landowners, with their large estates, who provided employment for most of the villagers. Eastcote was the favoured location for the gentry rather than Ruislip or Northwood, with eight of their houses being found here. However in the 1850s and 1860s there was some more modest housing. Four pairs of villas known as Field End Villas were built which attracted the first group of professional people, such as bankers, doctors and civil servants to the area. They could combine having access to London with the rural delights of Eastcote, bearing in mind that the nearest stations at that time were Hatch End and from 1887 Pinner. At the end of the century some larger architect designed houses were built for specific clients who welcomed the quiet and seclusion of the area. Two examples, both still standing, are Eastcote Point, Cuckoo Hill built in 1896 and Eastcote Place (now in Azalea Walk) built in 1897. The latter was requisitioned for various operations during the Second World War. But despite the presence of this small group of professional middle class people, the overall feel of Eastcote was of an isolated, agricultural village with few facilities. There was no parish church; parishioners had to go to St Martin’s in Ruislip. However the seeds of Methodism had been sown by Adam Clarke, a Methodist scholar and preacher while he lived at Haydon Hall in the 1820s. As a result, in 1847, the Methodist Chapel was opened in Chapel Hill at the bottom of Field End Road and this provided the only place of worship until later developments in the twentieth century. The nearest schools were in Ruislip and Northwood apart from the small private institution of “Miss Carter’s Young Ladies School” at Flag Cottage, High Road which operated from 1887-1913. No history of Eastcote is complete without mentioning the three largest houses known as “the Great Houses” which were at the pinnacle of their importance in the nineteenth century. 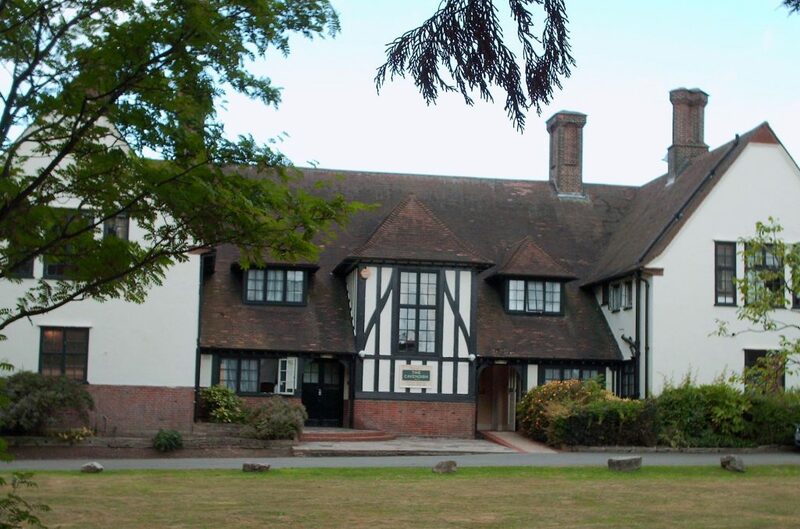 The first was Eastcote House, which started life as a timber-framed house called Hopkyttes. This was in the continuous ownership of the most prominent local family, the Hawtreys (later the Hawtrey Deanes), for over 400 years. This stability meant they were regarded as the most influential local family and they were viewed as the de facto lords of the manor. After the Enclosure Act they became the largest landowners in the parish after King’s College, Cambridge. On the opposite side of the road to Eastcote House was Haydon Hall. This was built in 1630 by Lady Alice, Dowager Countess of Derby, but was completely rebuilt in 1720 in the classic style by new owner Thomas Franklin. In the nineteenth century Lawrence James Baker added two wings to the house and developed Haydon Hall as a shooting estate, building many attractive estate workers’ cottages such as New Cottages opposite Pretty Corner and Wood Cottages, Fore Street which still survive. Highgrove is the only “Great House” still standing although it was extensively restored after a major fire in 1978. The original building of 1747 was also destroyed by fire in 1879. The present restored house was designed by the noted Victorian architect Edwin Prior, a pupil of Norman Shaw. 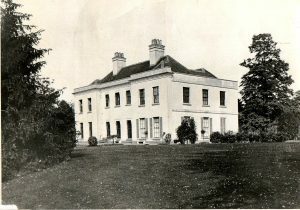 During the late nineteenth and twentieth centuries the Warrender family were the resident owners and Eleanor Warrender especially was well known for her good works in the neighbourhood. The extension, from Harrow to Uxbridge, of the Metropolitan Railway, which passed through Eastcote fields south of the village, was to change everything. Eastcote Halt opened in 1906 and Eastcote suddenly became accessible to many more people. 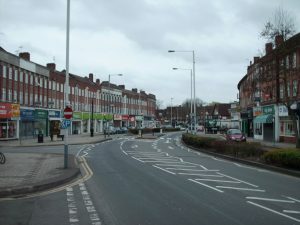 The centre of Eastcote shifted south, away from the old village. Hordes of day trippers arrived in Eastcote to enjoy the delights of the countryside and visit the tea gardens, in particular the Old Barn House in the High Road. Other cottages, such as The Rosery in the High Road and Orchard Farm in Field End Road also offered refreshments. Pubs did a good trade, especially the Ship in Joel Street which had its own garden pavilion. On a grander scale, the Pavilion Private Excursion Grounds in Northolt Road (now Field End Road) attracted thousands of school children who came for a day out in the 16 acres of pleasure grounds with swings and roundabouts, and donkey rides. The Cavendish Pavilion was built nearby as a private sports ground in 1914. Developers saw the potential of Eastcote. “Arts and crafts” style houses appeared in Catlins Lane, Cheney Street and Bridle Road. Field End House farmland was sold to the British Freehold Investments Syndicate who laid out a network of roads, recognisable by the use of trees names for their roads. Individual plots were sold for building; the first houses appearing in Elm Avenue, Lime Grove, Myrtle and Acacia Avenues. Ralph Hawtrey Deane (of Eastcote House) sold off his lands along Field End Road. In the mid-1920s Tellings developed Morford Way and Morford Close and built Eastcote’s first row of shops, Field End Parade, along with a community hall which became the Ideal Cinema. Rotherhams Estates and T. F. Nash both built “Deane Estates”, Rotherhams on the west side of Field End Road, Nash on the east, along with the shops of Devon Parade and Deane Parade to serve the incomers needs. South of Eastcote Halt, building continued in Woodlands Avenue. Davis Estates built on the site of the Pavilion and developed the “Tudor” named streets across the road. Further north, the Eastcote Park Estate was built by Comben and Wakeling on Eastcote House grounds. Fore Street Farm was demolished to make way for a mixed development. 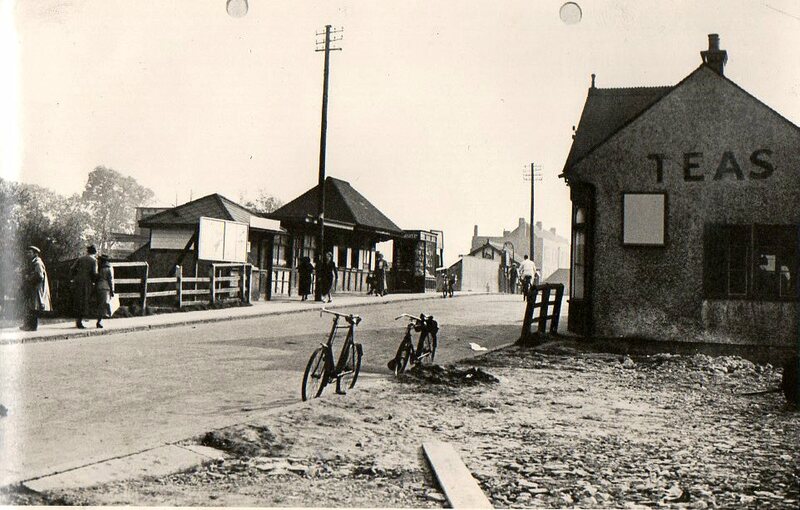 From just 600 people at the beginning of the century, by 1939 the population of Eastcote had increased to 15,000. This led to the establishment of a separate parish of Eastcote. The new church of St Lawrence opened in 1933. St Thomas More Catholic Church opened in 1937, and St Andrew’s Presbyterian Church (now United Reform) in 1939. 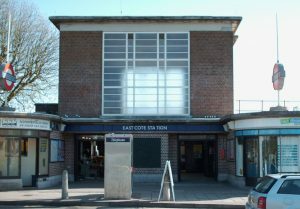 Eastcote Halt could no longer cope with the increased number of travellers, so a new Eastcote station was built to the modernist designs of Charles Holden. It would have been officially opened in 1939 had the Second World War not intervened. The significant part that Eastcote played in the Second World War was not known till many years later. The MOD site, between Eastcote Road and Lime Grove, was known during the war as HMS Pembroke. It served as an important outstation to the now renowned Bletchley Park. 800 Wrens, supported by 100 RAF technicians, operated 110 bombes, the machines which were used to identify and break German codes. After the war, GCHQ operated from here, until it relocated to Cheltenham in 1954. The site, now known as Pembroke Park, is currently being developed for housing. Some of the people and places have been commemorated in the names of the roads and buildings. Several old farms and cottages were demolished after the war. The Wesleyan Chapel in Field End Road was finally replaced by Eastcote Methodist Church, on the other side of the road, in 1951. The chapel was demolished in 1962. Of the three great houses, by now all in the ownership of the local authority, only Highgrove House has survived. 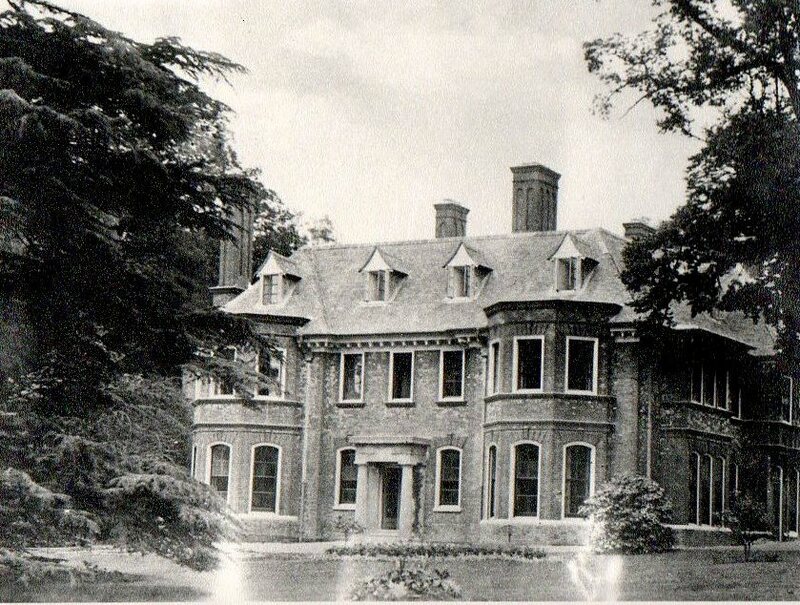 Eastcote House was demolished in 1964, followed by Haydon Hall in 1967. 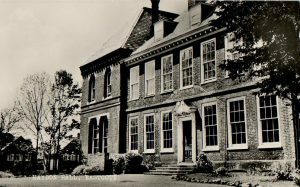 However several new schools were built: Field End Junior (1947) and Infants (1951), Coteford Junior (1952), Newnham Junior and Infants (1952), St Nicholas Grammar (1955) and St Mary’s Grammar (1957), now combined as Haydon School, and a new public library (1959). The Community Centre in Southbourne Gardens opened in the 1950s. Eastcote is still evolving. There is regret at the loss of some of the historic buildings, yet many have survived. These, as well as many open spaces, including remnants of the parklands of old estates, serve as a reminder of times past.